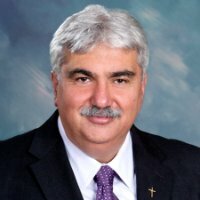 On Sunday, October 1 at 5:00 pm at Pilgrim Church, the Armenian Evangelical Union of North America will install Reverend Nerses Balabanian. This service is an important event for both Reverend Balabanian and Pilgrim Armenian Congregational Church. It is a welcoming ceremony to recognize Reverend Balabanian’s calling and acknowledgement of his responsibilities and duties. We hope you join us for this joyful event.